Thefanboyseo.com reviews the film Sully starring Tom Hanks and Aaron Eckhart and directed by Clint Eastwood. 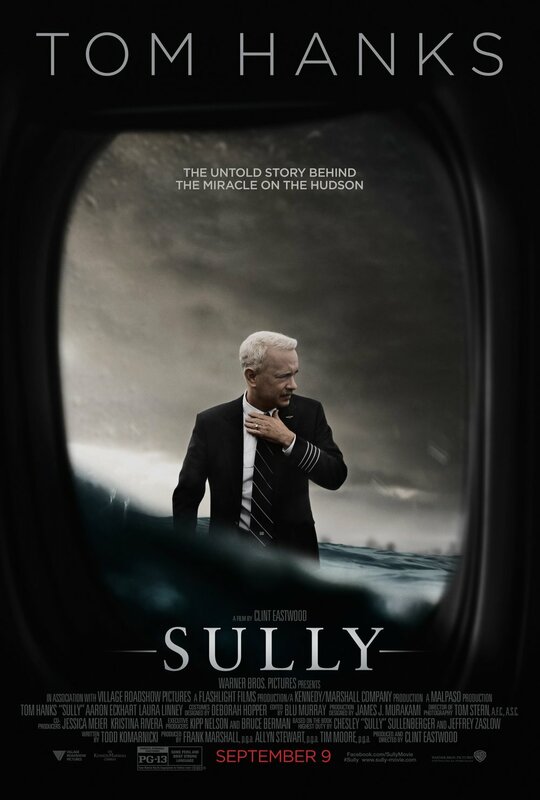 The movie details the “Miracle of the Hudson” from the viewpoint of the Captain of the US Airways flight that ended up in New York’s Hudson River in 2009, Chesley Sullenberger. It takes a look at the good and the bad that situation brought to the life of the airline captain of 40 years including controversy on whether it was a good call to do a water landing in the middle of the Hudson. Clint Eastwood does a great job in fleshing out the story. The “American Sniper” director manages to pull in audience to the story that’s could have failed in the hands of other directors. Let’s admit that a story about the Miracle in the Hudson would fit more in the veins of a TV movie, with several Hollywood A or B listers and would be shown during Thanksgiving in the States. Eastwood shies away from that aspect and delivers a tight story focusing on the Sullenberger instead. We don’t know who the guy is other than the Captain that saved the lives of his passengers and crew but the film successfully makes us actually care about the guy. Tom Hanks once again plays a captain and physically transforms wonderfully although its starting to feel like he’s being typecast in these types of movies. I mean there’s just so much similarities between his Captain Phillips and his Sully it could fill an entire post. Still, the man shows us why his a multi-awarded Oscar winner. There’s so much weight when he goes on full serious mode with the character. You feel the tension, the heroism and the selflessness in the way the actor carried himself in some scenes. Its mind-boggling to see what was in the real Sully’s head when all this went down but now we know thanks to Hanks. So while the story revolves around Sullenberger and that miraculous flight, the real heroes of the film happens to the supporting people. The first responders who risked their own safety to ensure that the the 155 souls on that downed plane were all safe and accounted for. Lastly, I need to comment on the VFX and the cinematography. Good job on the film being IMAX friendly, you get to relish every moment of that fateful flight in style.